Lollapalooza has confirmed the lineup for its 16th American edition, the fest’s eighth year in its Grant Park, Chicago, locale. The bare-chested stars of Lolla 1992(! 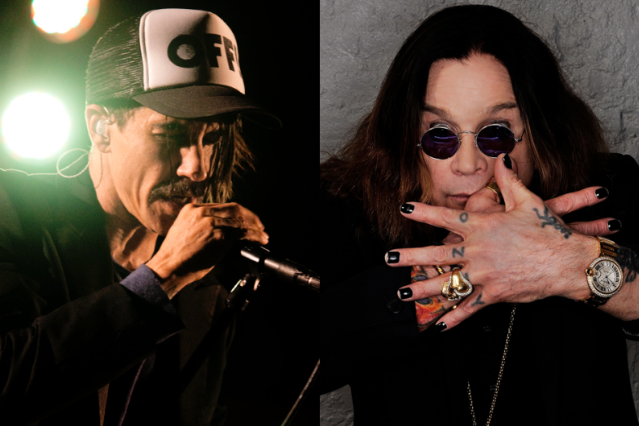 ), the Red Hot Chili Peppers will return to reclaim their rightful headlining spot, joined by the mighty Black Sabbath in whatever form they’re taking these days. Other names in the big fonts include the Black Keys, Jack White, Avicii, Justice, Florence + the Machine, Bassnectar, the Shins, and Passion Pit. At the Drive-In will continue their reunion after an 11-year break, the Afghan Whigs will be playing one of their first shows in 13, and Kaskade will play their third festival that week. Other names you may recognize include Santigold, Miike Snow, Bloc Party, the Temper Trap, Delta Spirit, Sigur Ros, the Weeknd, M83, Franz Ferdinand, Metric, Amadou & Mariam, Alabama Shakes, Yellow Ostrich, LP, Oberhofer, Dry the River, Fun., Of Monsters and Men, Doomtree, and Die Antwoord. O Rappa and Los Jaivas will play cultural ambassadors from Lolla Brazil and Lolla Chili respectively. And, oh yeah, we heard you like to dance. Beyond Avicii, Justice and Bassnectar and Kaskade the always ravecentric Perry Farrell is hooking you up with Calvin Harris, NERO, Knife Party, Zeds Dead, Big Gigantic, and probably a ton more. Tickets and full lineup of 130-plus artists are on the Lolla web site. Don’t miss your your chance to see a 49-year-old man parading around in a sock!